In 2015 Chanctonbury Ring Morris Men (CRMM) aree celebrating their anniversary of 40 years performing traditional clog Morris dances from the North-West counties of England. 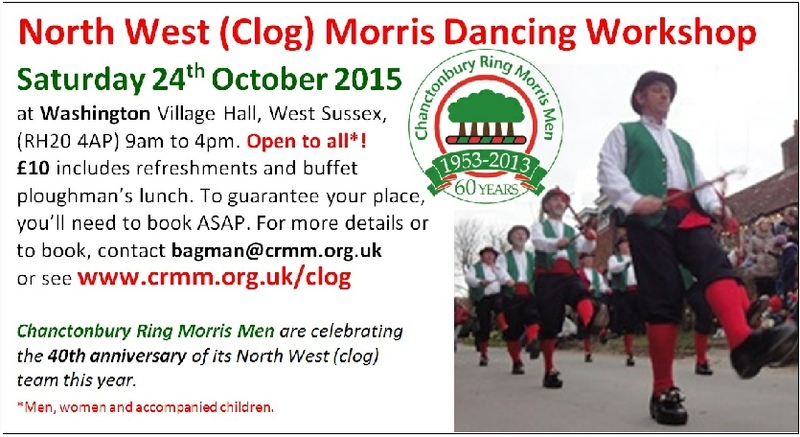 Dedicated North-West clog dancing sides remain rare in the South East - In their enthusiasm to keep this tradition alive and well in this region, CRMM will be running a one-day workshop in October for anyone wanting to try it or brush up their skills with some keen and enthusiastic ‘Chancs’ men. 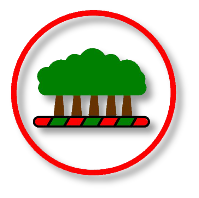 Its on Saturday 24th October 2015 at Washington Village Hall, West Sussex, RH20 4AP from 9am to 4pm. Its open to all*!